In the history of Britain, eighteenth century Scotland stands out as a period of remarkable intellectual energy and fertility. The Scottish Enlightenment, as it came to be known, is widely regarded as a crowning cultural achievement, with philosophy the jewel in the crown. Adam Smith, David Hume, William Robertson, Thomas Reid and Adam Ferguson are just the best known among an astonishing array of innovative thinkers, whose influence in philosophy, economics, history and sociology can still be found at work in the contemporary academy. The phenomenon of Scottish intellectual life in the eighteenth century, and the widespread interest that it continues to attract, makes it all the more surprising that this was not, in fact, the period in which Scottish philosophy achieved its highest international profile. That distinction came in the century that followed. 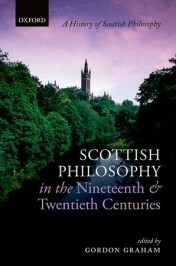 It is in the nineteenth century that Scottish philosophy set the academic agenda for philosophical debate in Europe and America, provided texts for college students across Canada and the United States, and produced a steady supply of university teachers, not only for North America, but Australia and New Zealand as well. Scottish philosophy in the nineteenth century had intellectual luminaries who, in their own day, shone even more brilliantly than many of their eighteenth century predecessors. The posthumously published lectures that Thomas Brown gave at Edinburgh went into dozens of editions and were studied for decades. Sir William Hamilton, Professor of Logic and Metaphysics at Edinburgh, was hailed as possibly the most learned Scot who ever lived, and the greatest metaphysician of his age. James Frederick Ferrier at St Andrews ranked as one of Europe’s leading intellectuals. Alexander Bain at Aberdeen laid new and firmer foundations for the emerging science of empirical psychology. 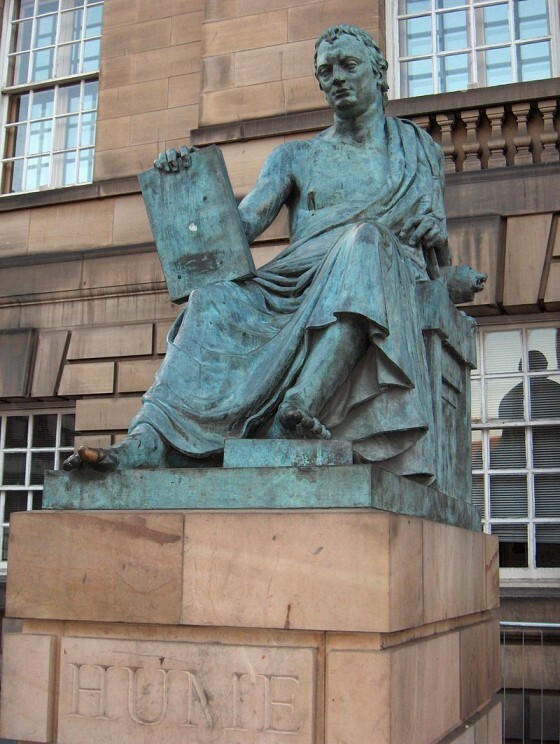 Edward Caird at Glasgow inspired a whole new generation of philosophers, who went on to teach philosophy at home and abroad. Yet, in sharp contrast to Smith, Hume, and so on, these names are now virtually unknown. The things they thought and why they thought them, the books they wrote, the debates they had, the people they influenced, have all fallen far below the intellectual radar of the twenty first century. The only survivor, arguably, is Bain’s friend John Stuart Mill, and though the roots of his philosophical work are easily identified as Scottish, this connection generally goes unnoticed. Why is there this dramatic difference between these two centuries of Scottish philosophy, one heralded far and wide, the other for the most passed over in silence? Just who were these thinkers and why were they so influential? How did they fall into such neglect? Is their work still worth anything? Did they build significantly upon their Enlightenment heritage, or are they properly relegated to the status of footnotes to it? The existence and social role of Scotland’s four ancient universities meant that, for a long period, the professors of philosophy and their students constituted a genuine intellectual community. Over many generations they sought to maintain and to enlarge a tradition of philosophical inquiry that aimed to unite research and education, bringing scholarly inquiry of international relevance to bear directly on the formation and enrichment of Scotland’s social and cultural life. This admirable ambition gradually came under pressure, from a number of directions. In Scotland, increasing familiarity with Kant and Hegel began to change the relatively isolated philosophical world of the Scottish Enlightenment, while the development of academic specialization gave new independence to politics, economics and psychology, subjects that philosophy had previously included. In Britain at large, improved communication and the establishment of new universities in England, Ireland and Wales eroded the distinctiveness of the Scottish university system. In America, the Scottish philosophy of common sense morphed into philosophical pragmatism. In the antipodes, Australia and New Zealand began to forge philosophical traditions of their own. At the turn of the twentieth century and into its opening decades, those raised in the Scottish philosophical tradition acknowledged its passing with a mixture of hindsight, nostalgia and regret. George Davie’s powerful lament, The Democratic Intellect published in 1961, may be said to mark its final demise. Yet there is something of importance to be learned from it. The radically altered nature of our institutions of higher education has recently occasioned a flurry of books. Their shared concern is captured by the title of one of the volumes — Stefan Collini’s What are Universities For? This is a question with renewed, some would say urgent, interest for the contemporary academy. And Scottish philosophy in the nineteenth century still has much to teach us about how to frame it. Featured image credit: Edinburgh Castle, by David Monniaux. CC-BY-SA-3.0 via Wikimedia Commons. Gordon Graham FRSE is Henry Luce III Professor of Philosophy and the Arts at Princeton Theological Seminary. His areas of academic interest include aesthetics, moral philosophy, philosophy of religion, and the Scottish philosophical tradition. He is Director of the Center for the Study of Scottish Philosophy at Princeton and founding editor of the Journal of Scottish Philosophy. His books with OUP include Scottish Philosophy in the Nineteenth and Twentieth Centuries and Wittgenstein and Natural Religion. Hamilton is still widely read and cited I think. Bain is thought of as a psychologist and Caird is treated much like non-Scottish philosophers of his ilk (Green, Bosanquet, , etc). I read Caird’s book on Spinoza when I was writing my Ph.D. thesis in the 1970s, but it seemed dated even then. A philosopher you don’t mention is Adamson, who’s most important, I think, for instructing Dawes-Hicks. The latter is guy who I think has really been unjustly ignored–but he was a Londoner.